Why Are There So Many Different Wine Bottle Shapes? If you have seen different wine bottles, you must have noticed that they come in a variety of sizes and shapes ranging from stout and short to slender and tall. The fact is that the shape of the wine bottle doesn’t really impact the flavour of the wine in any way. However, the bottle chosen is typically a reflection of tradition and history that indicates where the wines were made. There are hundreds of different wine bottle shapes; but a large percentage of wine makers opt for one of these 3 more popular ones- The Burgundy Bottle, The Bordeaux Bottle & the Mosel/Alsace bottle. Here we take a look at the different wine bottle shapes and how each of them came into existence. This is one of the first bottles that started being widely used for different types of wines. It was invented at some point of the 19th century; and it is believed that these bottles have a curved shape only because the glassmakers found it easier to make bottles of this shape. The wine producers in Burgundy who were responsible for making the very first wines using Pinot Noir and Chardonnay started using these to bottle the whites and reds they produced. Before long this bottle shape become synonymous with housing good Chardonnay and Pinot; as these grapes started to be grown in different regions across the world, the bottles gained popularity there too. Today, most wines that have flavour profiles similar to the Pinot Noir such as Etna Rosso, Nebbiolo, Gamay which are complex, light & bright, are found in bottles of this style. In most instances, wine that’s sold in a Burgundy styled bottle will have gone through an oaking process; however, it’s now common to find unoaked Chardonnay as well. On the heels of the Burgundy bottle came the Bordeaux bottle. Cabernet Sauvignon and Merlot, which are two of the world’s most popular reds, are housed in this bottle and it didn’t take long for wine producers from across the world to start using these for their own wines. The Bordeaux bottle has very distinctive shoulders and it is believed that this shape was specifically created to hold the sediment that tends to accumulate in older Bordeaux wines, when they were being decanted. Some others believe that the bottle has this specific shape so as to set it apart from its Burgundian counterpart. This bottle came into existence a short while after the Bordeaux style bottle. It was originally designed for storing sweet and dry Riesling. Today, it’s common to see this bottle being used for wines such as Gewurztraminer. The Mosel/Alsatian Bottles are definitely more delicate than the Burgundy and Bordeaux ones. It is believed that this was because these wines were largely transported via the Rhine river and only smaller ships could ply that route. 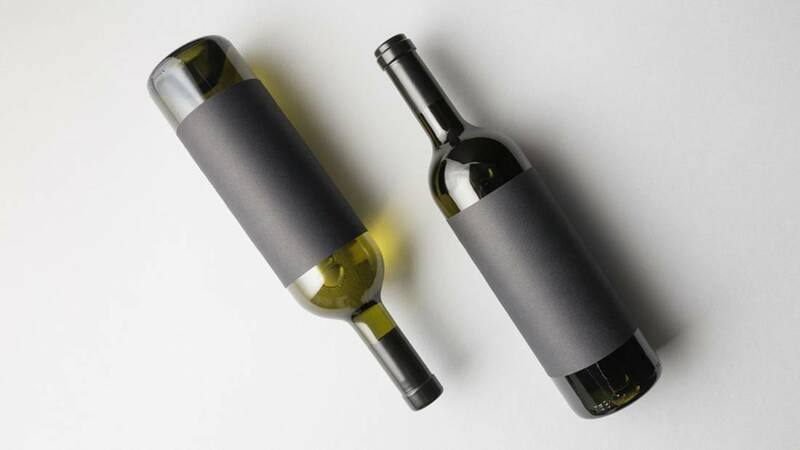 If a larger number of bottles had to be transported, they would need to be of a more slender design. Since the bottles were being transported via a river rather than the high seas, they didn’t need to be as strong as the Burgundy and Bordeaux bottles that were often transported across the seas to Great Britain. The notable fact is that, no matter which bottle your wines come in, all these 3 bottles can be stored on their sides, which allows them to make contact with the corks, which ensures an oxygen-free seal. Across the world, Pinot Noir and Chardonnay use the Burgundy bottle while all Merlot and Cabernet Sauvignon-based wines use the Bordeaux bottle. For information about custom wine cellar design and installation, you can call Signature Cellars on 02 9340 7515 or use this contact form to get in touch with us. We’ll be pleased to assist you and provide custom solutions that match your requirements.